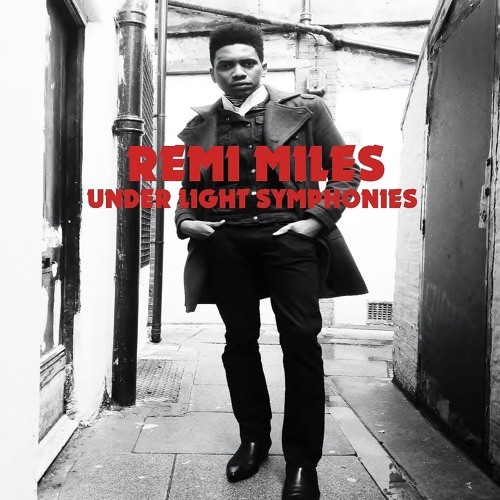 Remi Miles and his debut EP glow "Under Light Symphonies"
Brighton based singer/songwriter Remi Miles grew up listening to a blend of afro beat, soul, and rock n roll. It all comes through in the title track to his debut EP which is available now digitally. “Under Light Symphonies” has more of a laid back feel in comparison to his first track “I Want You.” It rocks a slight reggae swing underneath a breezy tropical atmosphere and layered vocal harmonies. The way the track eases along is the perfect vibe to shake off the cold of winter as spring approaches. There’s simply something cool about Remi Miles and his style. Grab his EP, and look for some “Under Light Symphones” remixes in the near future.